The FCC (and most communications authorities worldwide) have set aside certain frequencies for local area high speed wireless transmissions, aka Wi-Fi. These frequencies are 2.4GHz and 5GHz. As technology matured and Wi-Fi become more prevalent, it become obvious that using additional frequency bands was an effective way to provide additional bandwidth, support additional devices, and reduce interference. Starting with the 802.11n (Wi-Fi version 4) standard released in 2009, both 2.4GHz and 5GHz bands were included in the standard, paving the way for the first dual-band routers to be produced. Prior to the ratification of 802.11n, we had two standards (802.11b and 802.11g) using the 2.4GHz spectrum, and one standard (802.11a) using the 5GHz spectrum. 802.11b/g ended up being much more popular and widespread, likely due to the fact that it was cheaper. As a result, the 2.4GHz spectrum was much more crowded. This resulted in the 2.4GHz band being really crowded. Having the ability to use the 5GHz band with the newer 802.11n and 802.11ac standards really alleviates this congestion issue. Aside from the obvious difference (Look, different numbers! ), there are some technical differences between the two spectrums. The first difference, is range. Lower frequencies can penetrate objects better than higher frequencies, so the 2.4GHz spectrum generally results in better range than 5GHz. The difference, although noticeable, is not huge. 5GHz can generally transmit data faster (better modulation schemes) than 2.4GHz. 2.4GHz only has 11 channels in North America, only 3 of which are non-overlapping. Non-overlapping basically means they are channels don’t have as much interference from nearby networks, assuming everyone is playing by the same rules. 5GHz has 23 channels in North America, and all of them are non-overlapping. This makes it much easier to avoid interference in dense environments. Less interference = better speed and reliability. So what exactly is a dual-band router? A dual-band router is a device that is equipped with two radios operating simultaneously – one that operates at 2.4GHz, and another that operates at 5GHz. Devices connecting to the router will then have the choice of which band to use. Some devices only have a 2.4GHz radio equipped and thus will have to connect via 2.4GHz, while others can use either band and will generally choose the 5GHz band due to the fact that it is less crowded and has more clear channels. The main point is this: offloading some devices onto the 2.4GHz spectrum and others onto the 5GHz spectrum increases the performance for everyone. Make sure your next router or access point is dual-band! 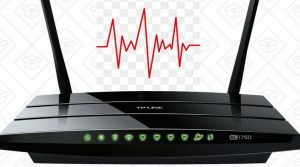 For those with a 75Mbps Internet connection, it is important to buy a high performance router that is able to keep up with your speedy Internet service. 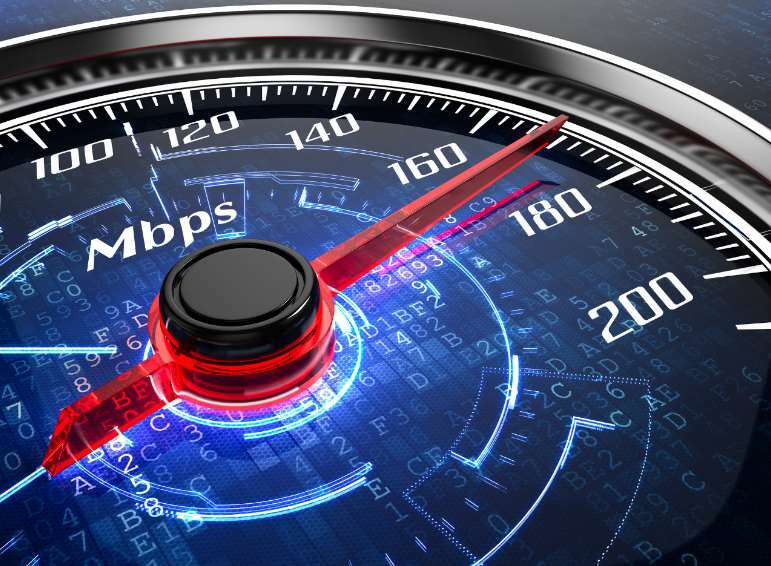 After all, 75Mbps is substantially faster than 46Mbps, which is the worldwide average Internet bitrate for fixed broadband as calculated by Ookla, one of the major players in the bandwidth and performance measurement space. The study, which was conducted in 2018, is available here https://www.speedtest.net/insights/blog/2018-internet-speeds-global/. Since you are paying probably $50 to $100 per month for 75Mbps Internet service (this obviously differs greatly depending on where you live), it is in your best interest to ensure that you are taking full advantage of the speed you are paying for. In many cases, users may not be able to take full advantage of the speed they are receiving from their provider because their router is a bottleneck. In some cases, this is due to a license restriction, but in most cases it is simply due to old hardware that can’t keep up. Regardless of reason, not being able to use the speed that you are paying your provider for month after month and year after year, is criminal. 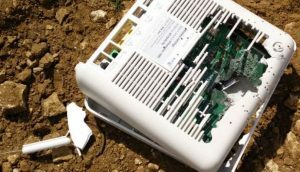 In my opinion, it is a mistake to cheap out on the one-time expense of a router, which could result in wasted money month after month depending on how long you stick with a bad router. This router wins our recommendation for 75Mbps Internet users because it is the right mix of price and performance, and it is appropriate for those levels of throughput. I wouldn’t suggest this router for gigabit connections, but for 75Mbps it will do a great job without breaking the bank. The TP-Link Archer-AC1750 is a cost-effective router specifically designed for home users. It has multiple features like USB support, parental controls, multiple (4) LAN ports, guest Wi-Fi capability, and more. Typically priced under $100, the device is definitely a good value for the money, and perfectly meets the needs of midrange bandwidth users (50Mbps-500Mbps). 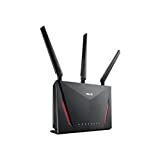 Most of our dislikes regarding this router involve the optional additional features such as the USB ports (used to connect external storage) or support for a 3rd party Firmware such as DD-WRT or Tomato (which is a topic for advanced users only). We don’t feel that these cons will affect most users, since many people won’t use these additional optional features. The AC1750 is a dual band router, which is a basic necessity in any router nowadays. Originally, WiFi devices only used the 2.4Ghz spectrum, but starting with Wireless-N, the 5Ghz spectrum was opened up. As a result, the 5Ghz spectrum is much less crowded and also features increased channel capacity. The 2.4Ghz spectrum tends to penetrate walls a little better and thus reaches a little further, but the 5Ghz spectrum is higher frequency and thus (theoretically) allows for higher throughput. Additionally, many devices still ONLY support 2.4Ghz, so buying a router that includes 2.4Ghz support is still mandatory. Thus, a dual band router that supports both bands is strongly suggested. See our related post: Why do I need a dual band router? This router features support for the current WiFi standard – 802.11AC. It sports a fast processor, six antennas, multiple USB ports, and a host of other features. It was even named PC Magazine’s “Editor’s Choice” and J.D. Power ranked the TP-Link brand highest in customer satisfaction for routers in 2017. 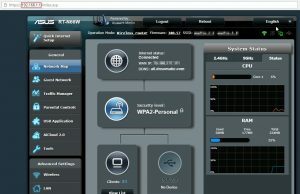 The “Tether” app from TP-Link can be used to setup and manage the router in minutes. This provides the capability to monitor your network and make changes either from home or remotely via the Internet. It can literally be “plug and play” if you like. Depending on your Internet provider, you can generally just plug the “Internet” port into your modem, power up the router, and be online within minutes without configuring the router. To be fair, most routers operating this way, however (thanks to the fact that most ISP’s provide configuration via DHCP. The router supports many of the latest networking standards such as IPv6 and 802.11 AC. Though this product is primarily a home router, you can easily use it for a small office as well. I was looking for the perfect router for my home, the one that suited my budget and my requirements. As I had multiple devices like the desktop PC and the laptop in addition to the mobile devices, I was looking for a router that had multiple LAN ports. To be fair, many home/small office routers come equipped with an integrated 4 port switch like this one. One thing that I found exceptionally well is the way TP-Link treats customer support. They have a dedicated round-the-clock support team who are always ready to assist you in case you have an issue with the product or its operation.In addition, it also comes bundled with a free mobile application. I used the app for the initial setup of the device. I just connected the router to power and most of the other complex things were configurable via the app. I often have guests and students coming to my home and asking for the password to use the internet. On my previous router, I had no option to differentiate a guest user from a home user. The TP-Link comes with a unique solution to this issue. A guest user can login using the guest credentials and can easily access the internet but not my private network, its devices and its data. Now, that’s very innovative of the company to include this feature at this price point. Children are increasingly getting exposed to technology. This is definitely a boon considering the usefulness it offers. However, it also brings along with it negatives. Child abuse and other sensitive visuals need to be kept away from children. The parental control feature allows you to blacklist potentially harmful websites. This is definitely one of the highlights of the product and one of the main reasons that I decided to go with this. You can easily connect two peripheral devices like printers or external hard drives and make them accessible from the network. Connectivity is the core of any router and TP-Link understands that like no other. The router comes with three adjustable and removable antennas at the back and three internal antennas within the device. This ensures better range and reception, resulting in the ability to use Wi-Fi at longer distances more reliably. I tried hard to exclude this, but come on! For a sub $100 product, the TP-Link Archer-AC1750 does pack a punch. Years of experience and understanding the customer has enabled TP-Link to come off with a real gem at an affordable price point. The user manual is somewhat difficult to understand and can overwhelm a newbie. I recommend using the mobile app to setup the router. The USB indicator is at the back – the front panel is overloaded with potentially less useful information. However, when a device is connected via USB, the indicator is on the back side of the router, making it harder to see. Also, thanks to USB 2.0 (instead of the newer 3.0 standard), I found the file transfer a bit on the slower side. If you are using the USB ports for a printer, however, you don’t need to worry about this. As you can see, the pros outweigh the cons. We feel the AC1750 from TP-Link is a great fit for 75Mbps Internet users. You get the performance and speed that you need, without paying more for an over-the-top router with performance and features you likely don’t need. If you are part of the small percentage of Americans that are lucky enough to live in a Google Fiber coverage area, you may be wondering, what is the best router to buy for use with your new Google Fiber service? After all, if you are going to be getting an ultra high-speed direct fiber service to your home, you want to make sure that there are no bottlenecks in your internal network, right? This is excellent thinking, and as a network professional, I had the same thoughts when considering Google Fiber. Traditionally, we’ve been exposed to slow internet connections such as cable and DSL services. Typically, these services run at speeds of 25Mbps to 50Mbps, or maybe something closer to 100Mbps if you are lucky. The speed of your internet service is limited by the slowest link in the chain. Traditionally, this was always your broadband internet connection, but that is changing. Today, with Google Fiber and similar fiber-to-the-home (FTTH) services, you can get up to 1000Mbps (1 Gig) service at your home. Suddenly, the slowest link in the chain can easily become a device on your internal network, such as your router. Some people still run routers that max out at 100Mbps. They literally don’t support Gigabit. And many people don’t realize it. Here’s the rub for Google Fiber subscribers: Their service includes a Wi-Fi router whether they like it for not. So, some people may not wish to buy a router for their Google Fiber service. After all, you technically already have everything you need. When Google Fiber is installed at your home, there are at least two pieces of equipment provided. A “Fiber Jack”, which is really just a micro ONT (Optical Network Terminal) which terminates the GPON signal coming from the OLT (Optical Line Terminal) port at the nearest hut, outside plant cabinet, or data center. Your Fiber Jack then connects to a little black box which Google has affectionately dubbed a “Network Box” (who named these things?). The network box acts as your router, terminating the service and allowing you to share the connection throughout your house. It also supports WiFi, has a firewall, allows basic port forwarding, etc. Many of the features of your average consumer-grade router are supported by the Network Box. The problem, is that per Google, the Network Box is required. Unfortunately, you can’t just plug your shiny new Netgear/Linksys/TP-Link router into the Fiber Jack and get online. You must use the Network Box – which is why the selection of a new router may be unnecessary (your traffic still goes through the Network Box, regardless of what you plug in). So, for some users, there is no real need to use a regular router with their Google Fiber service – the Network Box is enough. What if I want to use an aftermarket router? Google says that you can still plug your router into the Network Box and use it, and indeed you can. You can unbox your new aftermarket router and install it just as you would with any other type of broadband internet service from Comcast, Cox, Centurylink, etc. We should note that installing a router behind the Network Box will create a scenario where all of your traffic is getting NAT’d twice. This means that your traffic is getting translated from one type of IP address to another, twice. Usually this is only done once, but most users won’t notice a difference with their traffic being double NAT’d. Since you are buying a service that is high-speed, low-latency, and highly reliable, we recommend that you don’t skimp if you decide to purchase an aftermarket router. Specifically, you want a router that supports a Gigabit WAN port, the newest WiFi standard (802.11AC), and has a dual-core or better processor. The following routers are our picks for use with Google Fiber. Any of them will work well with the service, though some are pricier than others. Great performance at an affordable price! But surely there is a way to bypass the Network Box?! If you are a power user and feeling ambitious, there are supposedly ways to use Google Fiber’s service without a Network Box. This typically involves use of a Ubiquiti Edgerouter or setting up a PFSense box, and is completely unsupported by Google. That information is beyond the scope of this article due to it’s advanced nature, so I’m not covering it here. But you should know that it is possible. A broken router is no fun! After all, everything on your network depends on it – streaming, gaming, schoolwork, and real work all get impacted equally when your router stops working. Here are some steps to take (ordered from simple to advanced) to determine if your router is bad. Why do you think your router is the problem? Just because you can’t access the internet? The first, and often overlooked step, is to isolate the issue. Are all of the devices in your house affected, or just your computer? If only your computer is affected, the problem is likely not the router. It is best to figure this out before spending time troubleshooting the wrong issue. If the problem is affecting your entire house, perhaps it is the router and you should continue troubleshooting. Look at your router and start by checking the obvious things. Is it still plugged into the power outlet and is the outlet supplying power? If the outlet is wired to a light switch, check to make sure that the switch is in the ‘on’ position. The same goes if the router is connected to a power strip or surge protector – make sure the power switch is on there too. Also, check your breaker panel and verify that the breaker for that outlet hasn’t tripped. Now check the indicator lights on the router? Do they look normal? Most routers’ lights will flash to indicate activity on the network – are they flashing? 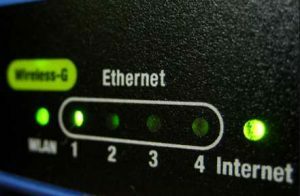 Are the status lights for the ethernet ports on your router lit up? You should see a ‘link’ light when a device such as a laptop or printer is plugged in to a specific port only. You shouldn’t, however, see port ‘link’ lights on ports that are not plugged in. Seeing a ‘link’ light on all ports, regardless of whether or not they are plugged in, is a classic sign that the router is having issues. Is the router generating heat? Does it seem like a normal amount? What about noise? Generally, consumer routers don’t make any noticable noise. These types of observations may assist you in determining the health of your router. Is your router functioning (passing traffic)? Try opening up a command window and seeing if your computer currently has an IP address. This can be done by running the ‘ipconfig’ command on Windows, or the ‘ifconfig’ command on Mac and Linux. 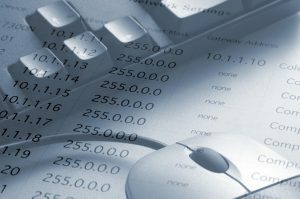 Most networks are configured to provide IP addresses from the router, so if your computer has a valid IP address, your router might be functioning okay. Now that you have your IP address, try pinging it (ping yourself). This should always be successful – if it’s not, it could indicate that your computer’s networking components aren’t functioning correctly and, again, is not the router’s fault. Now, try pinging the IP address of your router (this is the gateway address listed in the ‘ipconfig’ or ‘ifconfig’ commands you ran earlier). See this article for more help with finding your router’s IP address. If that is successful, try pinging another device on your network. If that works, your router seems to be passing traffic okay. Maybe the problem is isolated to your internet service? Try pinging Google’s primary DNS server, 8.8.8.8. If that is successful, try pinging google.com. If you can ping 8.8.8.8 but not google.com, you are experiencing a DNS issue – but if you can also ping google.com, your internet should be functioning normally. If your router seems to be okay but your internet service isn’t working, try rebooting your DSL/Cable modem or contact your ISP for assistance. If you still haven’t tracked down the problem, here is a good way to test your router: bypass it and connect your computer directly to your ISP’s device (typically a DSL modem, cable modem, or fiber ONT). To do this, unplug the cable connecting to the WAN or Internet port on your router and connect it to your computer. Can you access the internet now? If so, your router is almost certainly the issue since bypassing it got you back online. Keep in mind that this test method will only work for some people – it depends on how your ISP configures your service. If your ISP uses static IP addressing or PPPoE, you would need to take additional steps to use this test method – simply plugging in directly will not work. 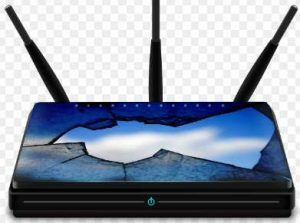 If at this point you’ve established that the router is bad, you can either cut your losses and replace it, or you can attempt some advanced procedures that might possibly allow you to recover your router. If you decide to continue troubleshooting the router, the next step would be to attempt to reset the router to defaults. This will wipe the current config from the router and reboot it into the factory-default state that it was in when you first opened the package. The process for this operation differs from router to router, but typically involves pressing and holding the ‘reset’ button on the router down for up to 40 seconds. Sometimes, you have to power cycle the router while you are holding the reset button down – be sure to check your router’s documentation. 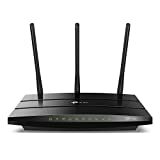 Be advised that if this procedure is successful, you will need to re-configure your router from scratch: set up your wireless network name, password, channel setting (if previously configured), administrator password, port forwarding (if applicable), etc. Some routers have a special port (called a console port) that can be accessed with a cable like this. In many cases, the router casing has to be opened in order to access the console port, so this is not for the faint of heart. Using the console port allows you to access the routers’ pre-boot/loading environment, which can sometimes be used to fix a router that won’t boot. Since every router is different, I recommend doing some research to see if your router brand/model is equipped with a console port and what recovery techniques can be accomplished using it before you purchase a cable. If a factory reset doesn’t work, the next step would be to attempt reloading the router’s firmware, aka ‘flashing’ it. The concept of reloading firmware is usually used to replace a bricked router that has been broken due to being tinkered with. If your router failed in service (you weren’t doing anything to it when it failed), this probably won’t work, because the router is probably broken at the hardware level, not the software level. Still, you may want to continue – what do you have to lose? The process for reloading the firmware differs from model to model and brand to brand – the procedures are too different and vast to name them all here. I’d suggest searching for something like “reload firmware brand_name model_number router” into your favorite search engine. This should help you find specific instructions to follow. Keep in mind that attempting to “flash” your router’s firmware can cause your router to completely stop working – again, you might not have anything to lose, but I wanted to give that disclaimer none the less. The basic jist of reloading the firmware involves uploading a new firmware file from your computer to the router. This can either be done via TFTP, or serially by connecting a special cable to the router. In some cases, you have to partially disassemble the router in order to get to the serial port. Again, check your router’s documentation for this process, or online. Once the new fimware file has been uploaded, reboot the router and hope that it comes back to life! Need a new router now? 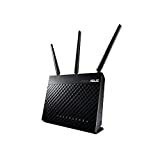 Our current pick for the best router (for most people) is the ASUS RT-AC68U. 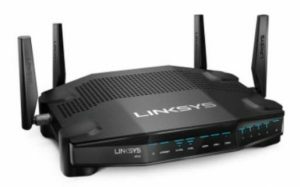 This router provides fast, stable performance, is loaded with features, and is available at a reasonable price. The best channel for your wireless router is the one that has the least amount of interference on it. Strictly speaking, all channels are the same. Lower channels don’t have more bandwidth than higher channels or vise-versa. In other words, if you were all alone on a desert island and it was just you, your laptop, and router, you would have the exact same experience on every channel. This is because you would be the only device on your Wi-Fi network, and there would be no nearby Wi-Fi networks or other sources of interference. Unfortunately, we don’t all live on islands by ourselves – free of frequency interference and bathed in high speed internet. Wi-Fi is a shared communication medium. This means that all nearby wireless devices (yours, your kids or roommates, and even your neighbors) are competing for use of the same airspace. 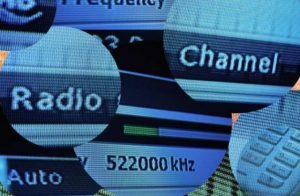 Now within that airspace, there are multiple channels available for use – like channels on your television, each with something different going on. Now think of the activity going on in a channel as a phone conversation. All nearby wireless devices that are on your channel (or an adjacent overlapping channel – more on this in a moment) are like a group of people that are all on a conference call. Only one person can speak at a time. If there are only two or three people on the call, everyone can say what they need to say without much of a wait. But on a call with 50 participants for example, people are going to have to wait a long time to speak. Wireless communication works the same way. The more devices, nearby networks, and interference there is, the slower and less reliable your Wi-Fi network will be. Manually picking a wireless channel is becoming a thing of the past on 5GHz networks, but it still matters on your 2.4GHz network. If you are using a 2.4GHz radio, which most likely you are, (most older routers run exclusively at 2.4GHz and newer routers have dual-band 2.4GHz AND 5GHz radios) then you should be using one of the three non-overlapping channels. The reasoning for choosing 1/6/11 is complex, but suffice to say that all of the 2.4GHz channels overlap with each other to some degree. What does overlapping mean? It means that devices in nearby channels will interfere with each other, even though they aren’t in the same channel. Kinda defeats the purpose of having channels, doesn’t it? Don’t get me started. So why choose 1, 6, or 11? Because it is the most efficient strategy. If you need 3 wireless routers or access points in the same room, putting one on channel 1, one on channel 6, and one on channel 11 is the best strategy. No other choice would allow all three devices to operate without interfering with each other. Sure, there are other non-overlapping choices you could make – channel 2 and 10 don’t overlap, for example. But 1/6/11 is the only choice that will give you three independent channels. OK I’m using a recommended channel, now what? Using channel one, six, or eleven makes it a little easier to avoid adjacent-channel interference – but only if the other wireless networks near you are using the same strategy. The problem comes in when someone nearby is using one of the other channels (2-5 or 7-10). For example, if you were being good and chose channel 1 or 6, but your neighbor next door is using channel 3 or 4, your neighbor’s network is still going to interfere with yours. You could try changing your router to use a different channel, but it may be difficult to find one that doesn’t interfere with someone else, especially in multifamily housing or apartments. If everyone would only use 1, 6, or 11, the world would be a better place – but unfortunately this is not the case. Still, you can do your part by picking one of these non-overlapping channels. 5GHz Wi-Fi is the future and you should be using it now if your router AND your devices support it. I say ‘AND’ because many devices still only support 2.4GHz networks. For example, just thinking of a few devices in my house, my Chromecast, Sony smart TV, robotic vacuum (Roomba clone), and my laptop all lack 5GHz radios. Yep, they only operate at 2.4GHz. This means that I must leave my 2.4GHz radio enabled on my router, or I will not have connectivity with these devices. The 5GHz spectrum is wider and supports more channels. In the US, there are 25 channels in the 5GHz spectrum, and all of them are non-overlapping. In addition to the higher availability of non-overlapping channels, 5GHz radios also support higher throughput (albeit at slightly shorter range due to the higher frequency) and technologies like multiuser-MIMO, which acts as a sort of channel bonding. Disclaimer: This article applies to users in the United States. If you live in a different country, check with your national communications regulatory/authority, as the laws regarding the frequencies you can use will likely be at least a little bit different. Pretty much the first thing anyone does when they start having problems with their internet connection, is reboot their router. After all, rebooting your router usually fixes the problem – but why? What is it about a reset (power cycle) that fixes problems? Well, there are several things. For starters, a router is similar to a computer. It has a power supply, a processor (CPU), memory (RAM), and even an operating system (firmware). Just like your computer needs a good reboot from time to time, so does a router. Some routers are more well built than others and don’t require a reset as often, but for the most part any consumer-grade router is going to need a power cycle occasionally. Consumer routers are generally built with lower quality hardware, slower speed components, and less rigorous software engineering standards compared to the routers that your ISP uses. As a result, they generally can’t go as long without a reset as their business-grade counterparts can. A proper power cycle involves disconnecting power from the device for 5-10 seconds, which allows for all of the circuitry in the router to fully discharge. There are capacitors inside the router that take a few seconds to discharge, during which time, if you were to reapply power, the device would start back up but could continue to have issues since it wasn’t fully reset. Memory in a computer system (or a router, in this case) gets fully erased when the power is cut. This is called volatile memory. Don’t worry – there are also non-volatile memory types, which is why we don’t lose the configuration on our router as well when it is power cycled. When power is re-applied, the router’s operating system boots from a fresh state, which fresh memory, and is completely re-initialized so it can run at maximum capacity again. After rebooting, the router also verifies that its’ current IP address from your ISP is valid (called renewing the IP) or if necessary, it requests a new IP address from your ISP. 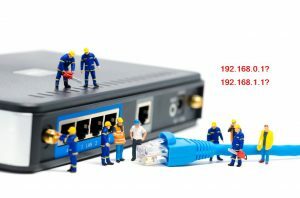 Sometimes there is a bit of a disconnect between the IP address your ISP is providing and the IP address your router is using – the reboot will synchronize your router with your ISP again. Sometimes, an internet connection is not working well because of a bandwidth hog. 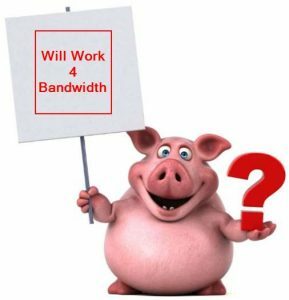 A bandwidth hog is defined as a person or device on your network that is uploading or downloading a large amount of data. It could be something like a roommate downloading a new game on their Xbox, or something more systematic, like a computer downloading an automatic update. This large upload or download creates a data contention issue, where other user’s data is slowed down because of the lack of bandwidth. During a router reboot, bandwidth hogs lose the internet connection along with everyone else. They will usually resume their upload or download once the internet connection becomes available again, but sometimes (like in the case of a software update) they will wait a while to resume the data transfer. Sometimes this delay is all you need to finish what you were doing online. Some routers have a dynamic channel allocation feature where they survey the other nearby Wi-Fi networks to see what channels are in use, and then they pick the channel that is least populated or has the least amount of interference. Power cycling your router will force your router to perform this adjustment as soon as the router has finished its reboot, as opposed to waiting for the router to do it on it’s own. If you are otherwise fairly happy with your current router, you may wish to simply continue putting up with the minor inconvenience of occasionally resetting it. You could also automate the resets so that you don’t have to worry about doing it yourself. Depending on the model of your router, you may be able to schedule it to reboot at the same time daily or weekly. I do this with my router – I have scheduled therapeutic reboots to occur every day at 2:00 AM, when everyone in the house is sleeping and won’t notice the brief interruption associated with the reboot. If your router doesn’t support scheduled reboots, you can also get smart power switches that can turn the power off or on depending on the time of day. You could obtain one of these switches and then connect your router through it and accomplish the same goal. You could also just consider getting a new router. Here is a recommendation on a router that gets overwhelmingly positive reviews and most people report that it doesn’t need rebooting. Did you know that your router has two IP addresses? We’ll show you how to find out what they are. Your home network (and most networks in general) consist of both private and public IP addresses. What’s the difference? Public addresses can be used on the Internet, and private addresses can’t. However, that’s not to say that private addresses don’t have their place. One of the main reasons private addresses exist, is because there are a limited number of public addresses. In the current version of the Internet Protocol (IPv4), there are only about 4.3 billion public IP addresses. That may sound like a lot, but consider the fact that that number of addresses must provide internet access to every device on planet Earth, and suddenly its’ not such a big number. There is a new version of the Internet Protocol coming (IPv6), which will drastically increase the number of public IP addresses available. However, global adoption of the new version has been very, very slow. It appears that the world will continue to use IPv4 for the foreseeable future. Due to the fact that there is a shortage of pubic addresses, most people only get one public address from their ISP for their entire household. This addresses then goes on your router, and everything inside your home (computers, tablets, phones, game consoles, smart TV’s, thermostats, etc) gets a private address from your router instead of getting its’ own public address. Your router also gets one of these private addresses so it can communicate with the devices in your home. It then performs a function called Network Address Translation (NAT) to translate traffic to/from devices on your network to/from the Internet using a combination of its’ private and public addresses. Without NAT, you would only be able to use the internet on one device at a time because you only have one public IP address. How inconvenient! 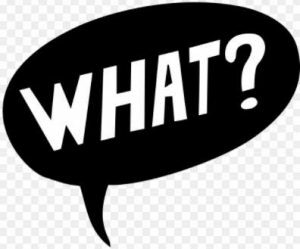 With NAT, it’s like your router is bi-lingual and is translating a conversation between two people that don’t speak the same language. Your router must speak both languages to ensure that communication between the two parties is successful. In this case, the two “languages” are the routers’ public IP address and private IP address. So, your router is actually using two IP addresses at all times. It uses its’ public IP to communicate with devices on the Internet, and it uses its’ private IP to communicate with devices on your home network. How do you tell the difference between public and private addresses? Public and private addresses share the same format – four numbers (0 through 255) separated by three dots, such as 192.168.0.1. Since they look the same, is there a way to tell if an address is public or private just by looking at it? Pretty much everything outside of these reserved ranges is public. So, if you see an IP address beginning with 10, 172, or 192, chances are good that it is a private address. If it begins with any other number, it is a public IP address. Why do you need your routers’ IP address? If you need to change the settings on your router – perhaps you want to change the name of your Wi-Fi network, modify your firewall settings, or change your Wi-Fi password. You will need to know your router’s private address in all of these cases so that you can login to your router and make the necessary changes. 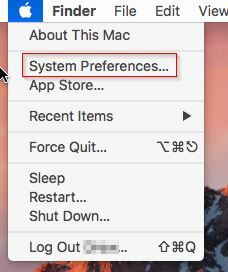 If you need to configure a device on your network with a static IP address – in this case the device won’t be configured automatically, so you’ll need to know your router’s private IP address – which will be entered into the ‘Default Gateway’ box in your computers’ IP address settings. 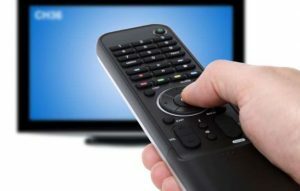 If you need to access your home network remotely over the Internet – Maybe you are wanting to set up remote desktop to access your home computer from the office. Or, perhaps you are wanting to monitor a security camera in your home while you are on vacation. If you are hosting a server of some type – Perhaps you are running a file server or a game server – you will need to know your public IP address so that you can give it out to someone that would need to access your server remotely. Note: The vast majority of consumer-grade routers will use either 192.168.0.1 or 192.168.1.1 as their private address. Unless your router has been set up with a custom configuration, it is highly likely that one of these IP addresses will be assigned to your router. A black command prompt box will appear. Type in the word ‘ipconfig’ and press enter. You will see a bunch of information scroll by and may have to scroll back up a bit to find what you are looking for – which is the Default Gateway IP address of your current network connection. In the example above, it is 192.168.1.1. 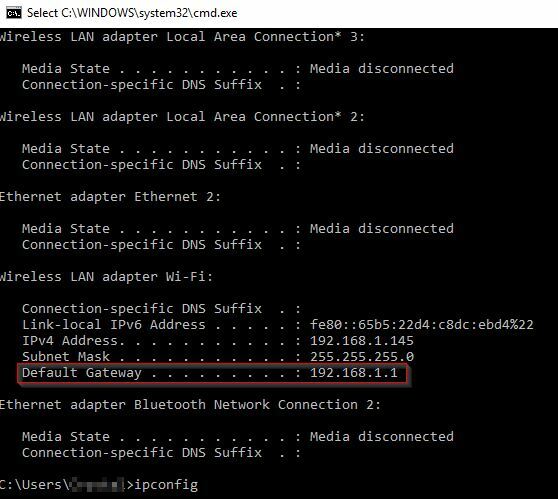 The default gateway is the address that your computer sends data to if it needs to go out to the Internet. This is the private IP address of your router. 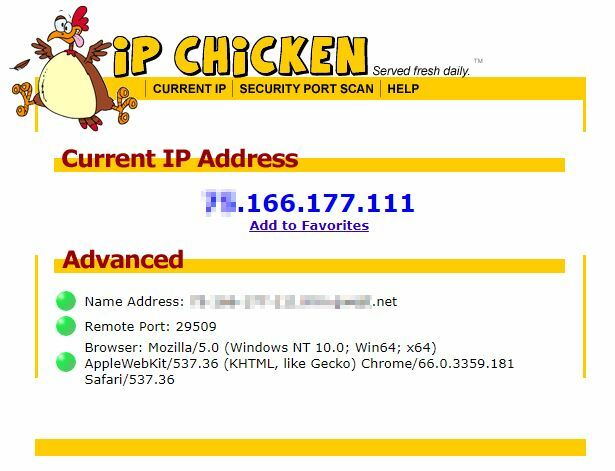 You will see IP address information appear on the right side. Look for the section that shows ‘Router:’. This is the address that your computer sends data to if it needs to go out to the Internet. This is the private IP address of your router. This one is pretty easy. From any device on your home network, you just need to check a website that will retrieve the public IP address your traffic is coming from and report it back to you. Google – Simply run a search with the words ‘What is my IP’ and Google will tell you. HughesNet Internet service is a type of broadband that uses a satellite network to deliver Internet service to its’ subscribers. 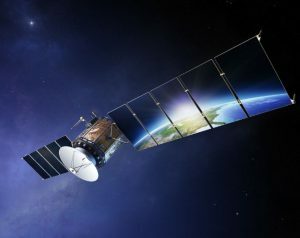 There are many pros and cons to this service, with the main ‘pro’ being that the service is available anywhere in the continental United States and Alaska (as long as you have unobstructed access to the southern sky). This means that HughesNet (or other satellite-based Internet services) can reach subscribers located in areas where other broadband technologies are unavailable. Since traditional wireline providers (fiber, cable, or DSL) incur a lot of expenses with the installation and management of a broadband network, ISP’s will generally only build out their network in semi-populated areas. Often times, this leaves people that live in rural areas lacking any options for high speed internet access. Sometimes, there are other choices available, such as T-1, fixed wireless, cellular/mobile data, and even dial-up. However, these solutions are not always available and can sometimes be quite expensive. This is where Satellite Internet comes in. HughesNet’s current service tier, dubbed ‘Gen5’ and served by their epic new “EchoStar XIX Satellite”, boasts speeds up to 25Mbps down and 3Mbps up. While impressive compared to their previous offerings, Gen5 service just barely meets (not exceeds!) the FCC’s definition of Broadband. When looking for a router to use with HughsNet, the requirements are a bit different compared to someone looking for a router to be used on a higher speed broadband service, such as cable or DSL. Given that HughsNet tops out at 25Mbps, the bandwidth requirements are fairly low. Even Wireless-N and Wireless-G routers are capable of pushing 25Mbps of traffic sustained. Does this mean that you should dig out that old Wireless-G router from 2005 (WRT54G, anyone)? No! New 802.11AC routers provide several benefits beyond increased speed. For HughesNet subscribers, the main benefit of choosing a newer AC router would be range. 802.11AC technologies such as beamforming and MIMO result in better coverage than routers built on previous Wi-Fi standards. You may only have 25Mbps to work with, but with the right router, you can ensure that you get those speeds in all areas of your home, not just when you’re sitting right next to the router. We like the R6700 because it features the speed and range improvements of the 802.11AC wireless standard at an affordable price point. Given that Hughesnet service tops out at 25Mbps, this router can easily handle those meager bandwidth demands. This Tri-band router provides excellent speeds, even at long range. It also supports Quality of Service, which if configured, can prioritize certain traffic types over other types. Have a large download running that you don’t want interfering your Netflix streaming? Quality of Service can handle that. Designed to provide excellent range when used in small to medium sized homes, the R6700 also features parental controls to help you keep your kids safer online. It is also a stable router – it doesn’t need to be rebooted frequently like lots of other consumer-grade routers. It also features four Gigabit Ethernet LAN ports, to keep your local network running at high speeds. It includes a USB 3.0 port, which you can use to optionally connect a USB hard drive to the router. This allows you to easily share files with other devices on your network through the router. Speaking Frankly, most any router will work with HughsNet Internet Service, but for the best experience, you should choose one with excellent range and reliability. We chose to recommend an economical choice in this case, because high throughput is unnecessary, given the relatively low bitrate of the Hughesnet service. The R6700 should fit the bill for most any HughsNet subscriber. 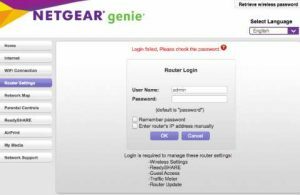 The process for accessing a Netgear router’s configuration screen is actually a little bit easier than most other home router brands. This is because Netgear uses the routerlogin.com (or routerlogin.net) URL to redirect you to the Netgear router on your own network. That way, you don’t have to remember the IP address of your router. Pretty slick. You should be directed to the router’s login screen and prompted for a username and password. If not, verify that you spelled www.routerlogin.com or www.routerlogin.net correctly. If you spelled it correctly, try the other routerlogin varient – assuming you tried www.routerlogin.com the first time – try again, this time using www.routerlogin.net. Likewise, if you tried .net first, try switching to .com. If it’s still not working, try a different web browser. Also, make sure the computer you are using is connected to your network, either via Wi-Fi or wired in directly. If that still doesn’t work, try finding the router’s IP address. See this article for the procedure. Once you’ve located the router’s IP address, go back to your favorite browser and clear out the address bar again. Now enter the IP address of the router and press enter. 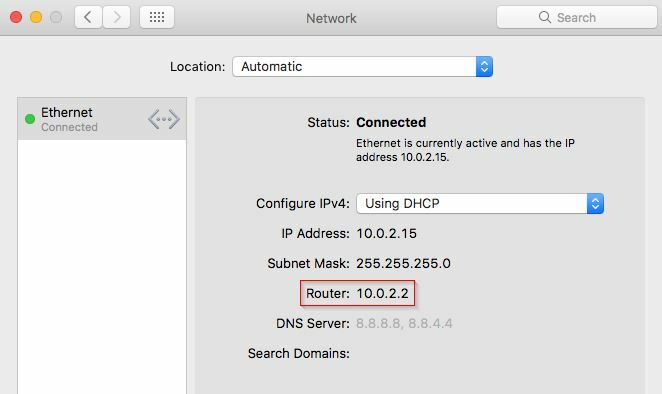 You should finally receive a username and password prompt to login to your router. 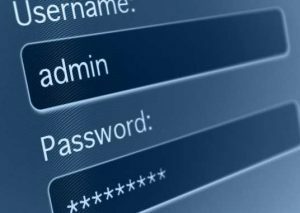 Now you’ll need your router’s administrator credentials in order to login. For Netgear routers, the username is always admin. It cannot be changed to anything else. The password is whatever you selected when you first set up the router. It is technically a different password than your Wi-Fi password, but it is possible that you used the same password for both, so give that password a try if you’re unsure. If you still aren’t sure what the password is, try password or 1234 which are the default passwords for most Netgear devices. Perhaps you never changed the password from the default when you first set the router up. If you are still unsure of what your password is, and the default passwords don’t work either, your only choice is to reset your router to the factory default configuration. Be advised that this will require you to go through the initial set up again – you will have to set up your Wi-Fi network name (SSID), the Wi-Fi password, the new administrator password, and any other special configurations you previously had in place such as static IP addresses, PPPoE usernames/passwords, port forwarding configurations, etc. Your internet will likely stop functioning until your router is set up again. If your ISP requires you to use a username and password with their service, make sure you have that information accessible. If you don’t have it, I recommend contacting them and requesting the information before you reset the router – that way you don’t end up without an internet connection longer than necessary. I recommend writing down the steps you used to access your router, and the working username and password. It’s not every day that you need to change settings on your router, but the need does arise every so often. Save yourself a headache later and write the information down now while it is fresh in your head. FiOS service from Frontier Communications is a high-speed internet service brought into your home via fiber optic cabling. If you are luckly enough to live in an area where FiOS is available, congratulations. 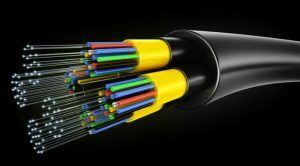 Fiber-based internet service such as FiOS is far superior to the other broadband technologies most Americans’ get to deal with. It is generally both faster and more reliable than cable, DSL, or fixed wireless technologies. As great as FiOS service is, however, the included router is not-so-great. Many people report that the included router does not perform well, especially when Wi-Fi is in use. This leaves many people wondering what the best router for Frontier FiOS is? Well, don’t sweat. We’ve reviewed the current offerings available on the consumer networking market, and will detail our pick here. What is the best router for Frontier FiOS? The team here at Infravio loves the RT-AC86U and recommends it to our readers frequently. This router is loaded with features, boasts excellent speed and reliability, and sells at a semi-affordable mid-range price point. Why not use the included FiOS router? Most FiOS installations are completed using the Frontier-issued Actiontec gateway or FiOS Quantum gateway (or equivalent). These devices do not match the performance level of many aftermarket consumer-grade routers available today. Many people complain about insufficient Wi-Fi range, inability to support multiple devices very well, limited speeds over Wi-Fi, and limited customization options of the included routers. Many people also don’t like the idea of being forced to pay a monthly lease fee to Frontier for one of these devices. Others simply wish to use features that may not be supported by the FiOS-provided box. 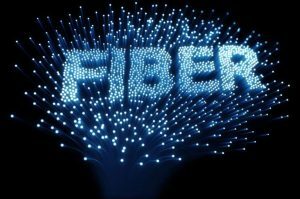 Fiber service is superior to Cable, DSL, fixed wireless, or other types of broadband because it is a very high capacity, very low latency, and a highly reliable medium. If you are lucky enough to have it in your home, you should make sure your router is up to the task as well. Think of it this way – someone that drives a Station Wagon probably isn’t going to notice a difference if they fill it with premium fuel. But someone with a sports car definitely will notice a difference. Bottom line: You are paying for a high speed, premium service – you have a sports car. Don’t put cheap fuel in it by settling for a sub-par router. If you have bundled FiOS television or voice services with your internet, you should pay special attention. These services generally rely on the FiOS-issued router in order to function. Replacing the provided router without considering this may result in certain services or features not working. Also, you’ll need to check the connection type between your ONT and the router, as this may need to be changed before you upgrade your router. Connect the original router to a LAN port on your new router – thus voice/TV service would still operate through both routers and your Internet service would only use the new router. Place the original router in ‘bridged mode’ and connect the new router through it – Internet traffic would pass through both routers, but it wouldn’t face the performance drawbacks or complications of being double-NAT’d since the original router wouldn’t be performing any routing duties. This requires first logging into the original router and reprogramming it from routed to bridged mode. If you are an internet + TV subscriber only (no voice service), you may be able to utilize an Actiontec MOCA adapter to remove the original router completely, as documented here: https://www.cnet.com/forums/discussions/simplify-fios-dump-actiontec-and-use-your-own-router/. Basically, this procedure involves connecting the MOCA adapter to a LAN port on your new router, and then connect the Coax cable that was connecting to your FiOS-issued router to the MOCA adapter. This allows the set top boxes to still access the internet via the MOCA adapter + your new router. This generally only applies to customers that joined FiOS when it was still Verizon-branded, as new installations are no longer provisioned this way. Originally, FiOS installs used a Coax (MOCA) connection from the ONT to the router. ONT stands for Optical Network Terminal and is the box that terminates the fiber signal coming into your house and converts it to a signal the router can understand. 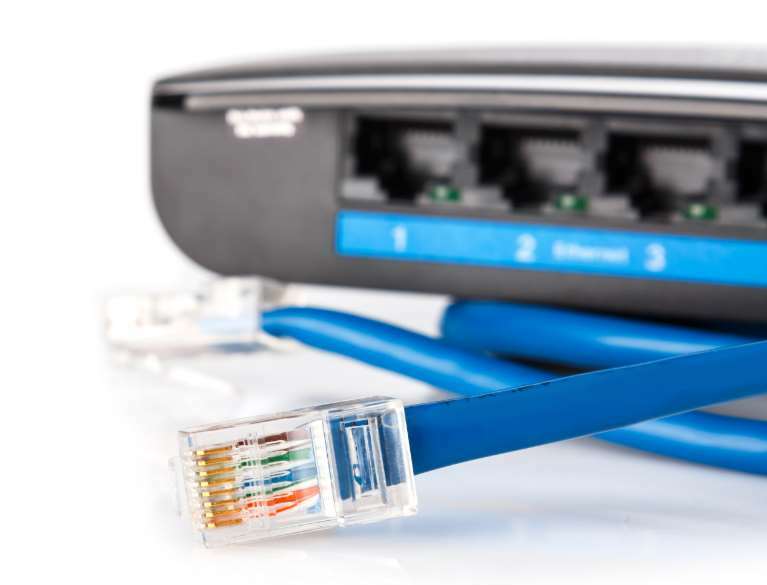 If your install is configured this way, you will need to change it to an Ethernet (Cat5e) handoff before you install a new router, because none of the popular consumer-grade routers available today feature a Coax port. Run a new Cat5e cable between the ONT and router. This may be a piece of cake if you have an Indoor ONT. If your ONT is exterior (usually mounted on the outside of your house), running a new wire from the inside (where your router is located) to the outside of the house (where your ONT is located) can be substantially more work. Once the wiring is ready, you will need to contact Frontier Communications technical support (1.800.921.8101) and request that they re-provision your ONT to use an Ethernet port instead of the Coax port. The Alcatel or Motorola ONT you have should already have an ethernet port, so they just need to re-configure the device to deliver your services over this port. Once this is done, they will tell you to plug in the new wire. Connect the other end to your new router, and you’re done. In select parts of the country, Verizon FiOS still exists and hasn’t (yet) been acquired by Frontier Communications. 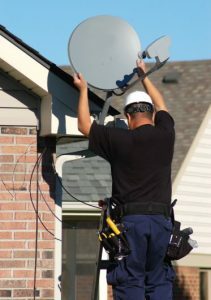 If you are one of these customers, our recommendations here apply to you as well – since the Frontier FiOS and Verizon FiOS services are so similar. As long as your ONT is set up to provide an Ethernet handoff (as discussed above), pretty much any consumer-grade wireless router will work with your Frontier FiOS service. Just make sure it is a new enough router to allow you to get the speeds you are paying Frontier for. Many older routers only have a 10/100 WAN port, meaning that they aren’t capable of running any faster than 100Mbps and thus would limit a 150M or 500M Frontier customer to 100M.